Sheen Magazine – The Number 1 Virgin Hair Company in the U.S. Makes It’s Way to Atlanta! Topping charts as the leading luxury hair supplier in the country, She’s Happy Hair is adding Atlanta and Lithonia to their long list of boutique locations, where celebrities, divas and hair lovers alike can come and shop some of the best quality tresses and care products around. As their two newest locations plan to open their doors beginning in May, we wanted to make sure we delivered the news in plenty of time to get in on all their piping hot Grand Opening deals! 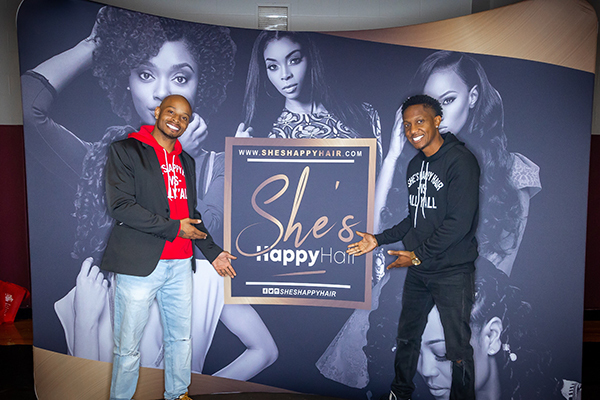 — Not only are they leading in virgin hair sales, but they are also leading the community through their extended non-profit organization, the She’s Happy Foundation. We got the chance to catch up with the CEO, Mr. Warren Broadnax, and of course, we had questions! 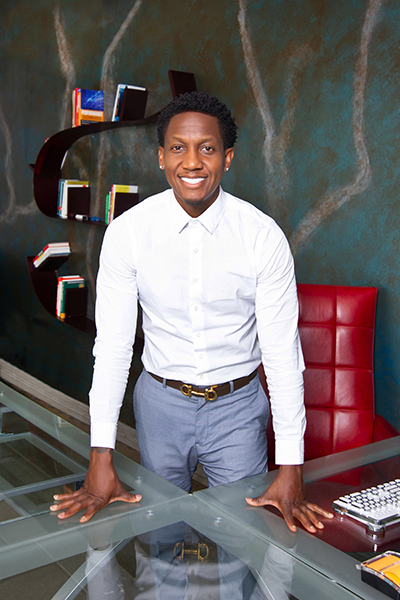 — Being male owners in the beauty industry can be challenging, but it isn’t impossible, and Warren has served as solid proof through the success of this rapidly expanding hair enterprise! When Marcus Bowers and I decided to start She’s Happy Hair we knew nothing about the hair industry. I knew it was a business that we wanted to pursue, but we needed to learn more about it. At the time I was working as a Houston Firefighter and on my days off I spent the entire day at Houston Beauty Salons. I would interview the ladies and find out their likes and dislikes concerning hair. I obtained a full understanding of the quality, brands, type of hair, etc. In order to be successful, I had to learn the market and definitely the product. After I completed my market analysis Marcus and I made our first investment of $900 and we started She’s Happy Hair. What were some of your toughest challenges starting off? I had to learn to believe in the power of failure. Failure is a lot more common than success. One of my favorite quotes is “failure is simply the opportunity to begin again and this time more intelligently”. The night before our very first grand opening someone came in and burglarized our store. They stole all of our inventory. I could have used that as an excuse not to continue to push forward with our vision and goals but decided that this was just a small obstacle in the road and we were going to overcome it. We still went on with the grand opening and didn’t let that stop us. Sometimes you win, but sometimes you learn. This situation taught us to have the best security systems and security officers in all of our locations to prevent that from happening again. Did you always plan to grow the boutique experience you created into a franchise? It was always my vision from the days of selling hair out of the truck to turn this into a nationwide business. I’m not sure I was completely thinking the work franchise but from early on I always envisioned large expansion and growth. What separates the experience one has at She’s Happy Hair from buying hair online or at the average beauty salon? What separates the experience is what we like to call The Happy Experience we try to deliver to our customers on every visit. From coming into our location and being greeted with a “Welcome to She’s Happy Hair” to having one on one consultation of your hair routines and current goals. We allow you to touch and feel each and every bundle before you leave. The hair your touch is yours to make sure that is to your satisfaction. We explain the process of taking care of not only the human extensions but give you knowledge and options on taking care of your natural hair as well. You get the chance to sign up for our loyalty program which offers you deals on our products as soon as the next 7 days. We answer any and every question you have about the process and any of the products. What we find is that most of our customer are new to this process of purchasing human hair and appreciate and need this one on one in person interaction. It’s something that we take very much pride in here at She’s Happy Hair. With She’s Happy Hair being a business started by men selling entirely to women we knew early on that superior customer service was something we had to do! We all have seen the videos going viral of how customers are getting treated in beauty salons across American and it’s sad and upsetting. We strive to make sure that each and every person who walks out of our door gets shown gratitude for coming and leaves happy! Have you ever experienced any speed bumps or adversities, considering your brand was founded by two young men? There are so many people with the potential to be great entrepreneurs, but because they don’t fit certain criteria they are immediately stereotyped. This is an issue we experienced initially. We had to convince potential customers that two young black men actually understood the concept of the hair industry. We had to provide exceptional customer service as well as quality hair because we wanted our customers to take us seriously. We needed them to understand that we were in this for the long haul. We began traveling to different countries just to take our research up a notch to make sure we were an expert in the hair industry. 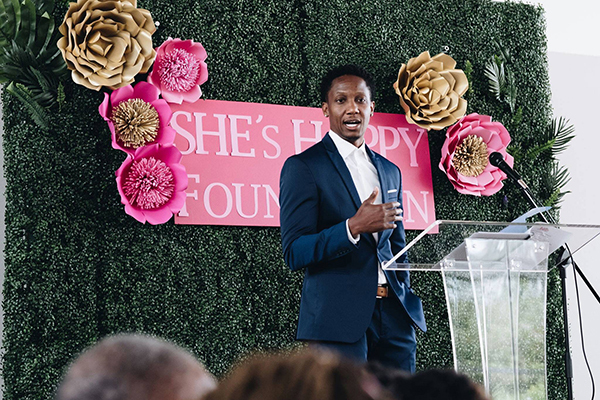 What inspired you to create the She’s Happy Foundation, and what are some things we can look forward to seeing more of through this platform? My biggest win last year was starting She’s Happy Foundation. “To much whom is given – much is required.” Doing community givebacks is very important for me and important for She’s Happy Hair. Sometimes people just need a helping hand from time to time to get back on their feet. She’s Happy Foundation is a 501 (c)(3) organization that began in response to so many inner-city youths that were in need of school supplies, haircuts, and toys for Christmas. We are committed to helping low-income families achieve lasting independence and our goal is to make sure their needs are addressed and they are provided opportunities to succeed. The problem of poverty is complex. It won’t yield to a simple solution or a quick fix. It requires an approach that will meet immediate needs but also reaches much further to help individuals achieve independence to empower families to break the cycle of poverty. We operate under the belief that every person has the ability to thrive in life. Due to this belief, we are developing positive relationships that have a direct and lasting effect on the lives of young people. Our programs address the range of issues that affect low-income families. These include Direct Services, Mentoring, Prevention, College-Prep, Financial Literacy, Leadership, Entrepreneurial, and STEM. We are also committed to hosting events throughout the year as we continue to provide love and support for those that are in need. There is still a lot to be done in the community and I want to make sure that we are doing our part to make a difference. What kind of impact do you hope to have on Atlanta with your upcoming, double Grand-Opening at the Lenox Mall and in Lithonia at the Walmart Supercenter? My goal is to continue to make a difference in the lives of others; through both, She’s Happy Hair and She’s Happy Foundation. I hope to achieve this goal by helping women feel good about themselves through beauty. All women deserve to be appreciated, respected and admired. When women improve their appearance amazing things happen because they feel good about themselves and can conquer anything. As her confidence grows, so does the respect she receives at work, at school, and everywhere. That’s what I hope to do with the She’s Happy Hair Brand. I want every one of our customers to feel good about themselves and any insecurities she may have fallen away, she becomes more confident, more self-assured and definitely more courageous. It’s simple when you look good….you feel good. She’s Happy Hair and She’s Happy Foundation does community givebacks in every city that we have a location and we are definitely looking forward to offering support to the inner city youth and families of Atlanta as well.